Before it gets hot outside, ensure no problems exist and have your car inspected. Harry’s Tire offers personal and high-quality service with no waiting. Harry M. Chadwick began the Harry’s Tire repair shop in 1913. Originally, the business was a retail tire store with limited service available for specialized maintenance. In 1965, the company changed hands to Harry’s son, Norman Chadwick, and he continued to prioritize tires and general automotive services. Under new ownership since 1983, Harry’s Tire continues to strive to provide comprehensive and reliable automotive care for air conditioning systems and more. 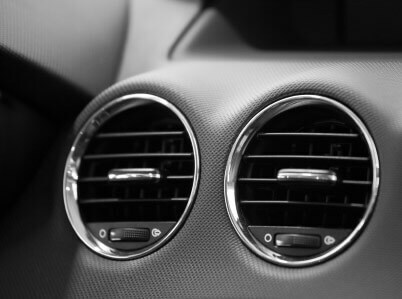 Various issues can arise with a car’s air conditioning system. Weakened airflow is often one of the first signs of a malfunction. When noticing this problem, it’s wise to have the entire system inspected before more severe damage occurs. The cause could be mold accumulation, a loose hose, damaged seals, or a broken ventilation fan. Sometimes the air blowing begins to feel warmer, which can also be a warning sign. This can happen due to a clog in the system, a Freon leak, or a compressor failure. After inspecting the entire system to diagnose any problems, a technician will be able to fix the problem. This may involve replacing malfunctioning parts. If the system is working efficiently, maintenance will include examining components, lubricating parts, replacing any that are worn, and replenishing fluids to the correct level. Instead of waiting for problems to surface, visit Harry’s Tire to have an air conditioning system inspected and repaired. We will get you right in without waiting, or you can drop your vehicle off the night before for even more convenience. We offer affordable, high-quality service without appointments. All of our services are first come, first served.